Peace and Great Day everyone. This post is for everyone who's been meaning to start a business for years but, just don't know where to start. Some of us hate our jobs yet, we fight to get out of bed everyday to maintain our lifestyles. Some of us love what we do yet, just aren't making enough. This post is to help you succeed despite all odds. The 1st thing you want to concern yourself with when going into business is consumer behavior. Next you have to think big. It's a numbers game. How many people can your round up and expose your brand to? Next, every major brand has similarities that are important for their success. With these 3 things in mind anyone can build a business out of thin air. To begin, you must use social media! Thinking about consumer behavior, everyone is always on Social Media. A lot of social media users also, access social media from mobile devices. Social Media is 50% of any marketing strategy. It's free, and it's a great way to round up a lot of potential customers and expose them to your brand. There maybe a few we left off as well.Get Google for Business! now, it offers a service for $5 a month that gives you even more useful tools to use for promoting your business. 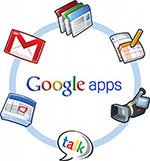 We also Have Discount Codes to share with anyone who would like to use Google for Business! Please #Comment or Reply to this Blog post for your Discount Code for Google for Business. GoDaddy also has a lot of useful tools for business. Unlike Google however their services aren't free. We do have a Special Offer for you all for following our Blog. How Does 30% off of your purchase (It's Go TIME!) sound? Better than Full Price Correct? Well, you get what you pay for and Go Daddy has Great Customer Services and are Iron Clad when it comes to standing behind their products. The reason the tools from Google and GoDaddy are so important is because it gives your brand "Brand Appeal" Instead of having an email like yourbrandsname@gmail.com you can have an email like info@yourbrandsname.com. You have video conferences with your staff and clients. Shared documents with your staff and clients via the cloud and more. It may not seem like much but, based on consumer behavior, these little add-ons can mean more business for your Brand. We Help You #Succeed! Thank You for Choosing BLAM!